Item # 317199 Stash Points: 3,995 (?) This is the number of points you get in The Zumiez Stash for purchasing this item. Stash points are redeemable for exclusive rewards only available to Zumiez Stash members. To redeem your points check out the rewards catalog on thestash.zumiez.com. Make sure to pickup the Magnolia Premium Classic Stripe T-Shirt from Learn To Forget to complete your casual look. 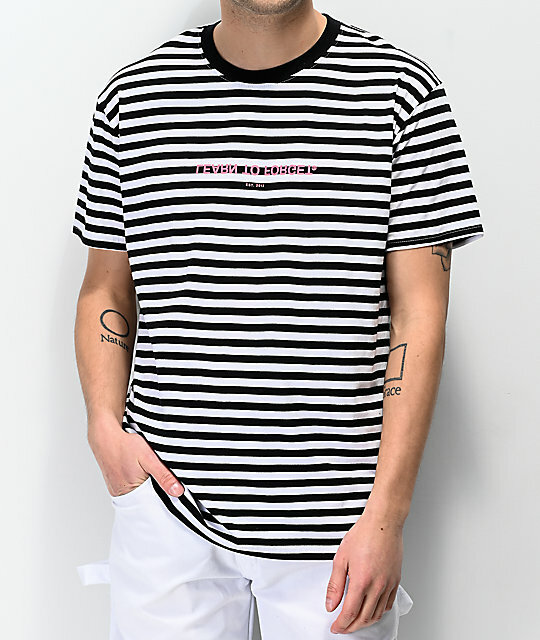 This cotton tee comes in a black and white striped pattern throughout, and features a hot pink Learn To Forget logo across the chest. A relaxed fit, and black ribbed knit collar keeps things comfortable, perfect for your daily looks. 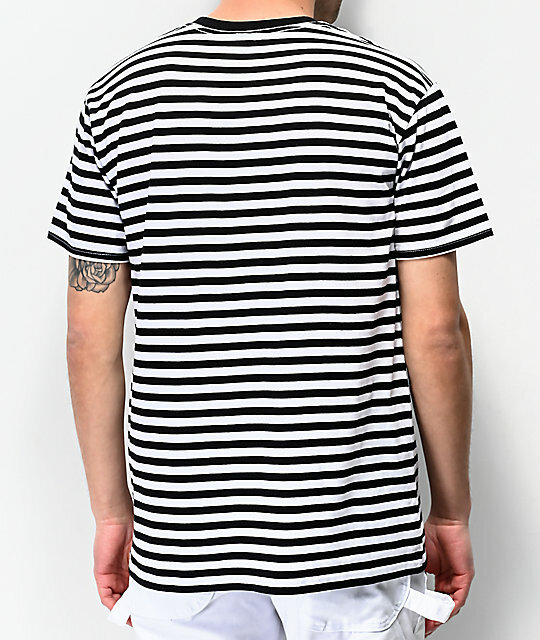 Magnolia Premium Classic Stripe T-Shirt from Learn To Forget. Black & white striped pattern throughout. 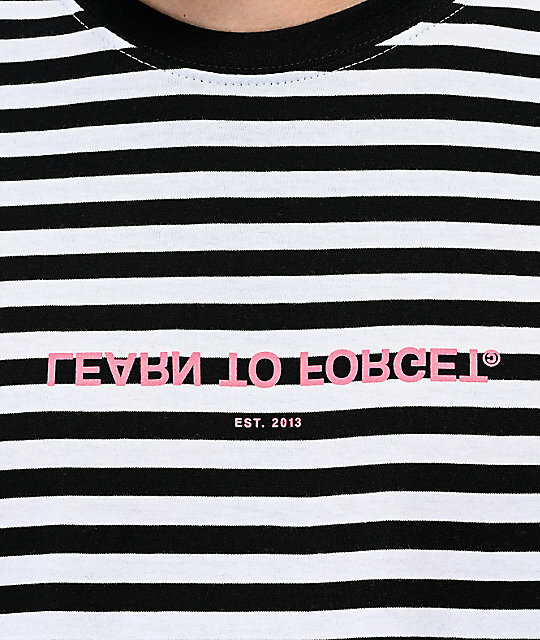 Screen-printed brand logo at chest. Woven logo tag at the bottom hem.